Finding a travel tote for all my gadgets has been a goal of mine. When asked to review a bag from Ju-Ju-Be, I jumped all over it. The B.F.F. bag is, well, my new BFF! It’s a stylish way for me to carry everything in an extremely organized way. Let me summarize everything I love about this bag. It’s made my life easier in so many ways, and it will be a savior during BlogHer! 1.) Design – There’s no sacrificing fashion for function with this bag. The design that I chose has gotten me a ton of compliments. They have a wide variety of colors and designs to choose from to match your personal style. 2.) Backpack Option – When carrying a lot of items, all the weight on one shoulder can cause a lot of pain. It’s best to evenly distribute the weight by using the tote as a backpack. This is especially ideal during trips to the zoo, hiking, BlogHer, or any times where long days of walking and/or standing are involved. The Ju-Ju-Be B.F.F. 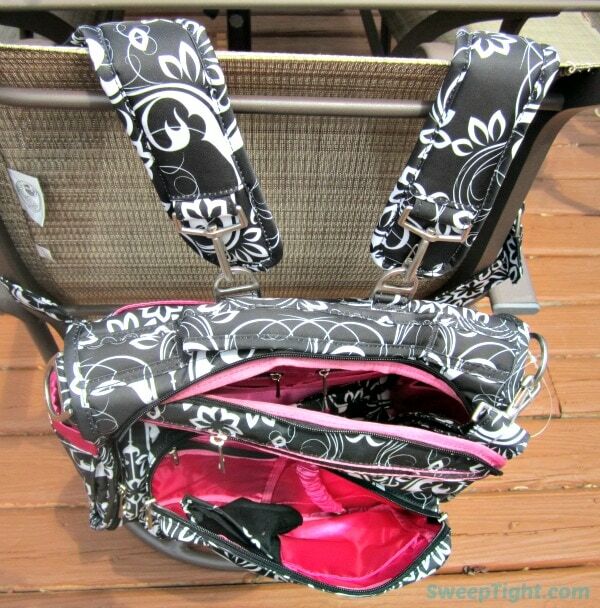 bag has removable backpack straps that are easily attached for this option. 4.) Light Interior – Have you ever referred to your bag as “the black hole”? I have on many occasions. Well, this bag has a light-colored interior so it’s easy to find everything. That’s something I never really thought about before, but appreciate it now that I have it! 5.) Machine Washable – Need I say more? There are so many ways travel totes or bags in general can get nasty. It’s great to know this one can be tossed in the washing machine when needed. 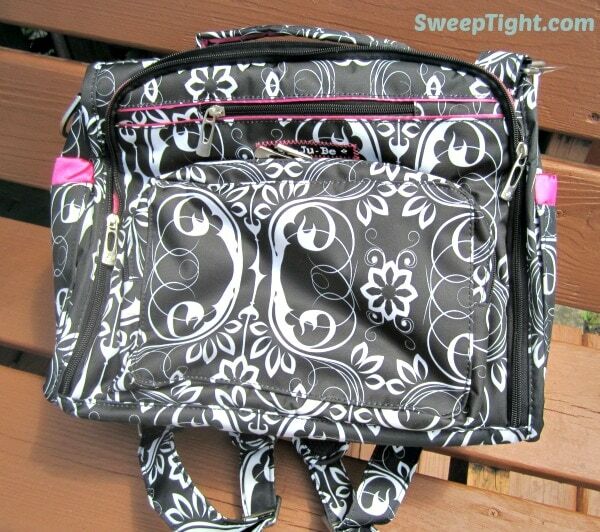 As you can see, this bag would make an excellent diaper bag, but doesn’t have to be. I would suggest it for anyone who carries a lot of devices, gadgets, or “stuff” in general. It’s a great way to stay organized, protect your items, and stay in style. 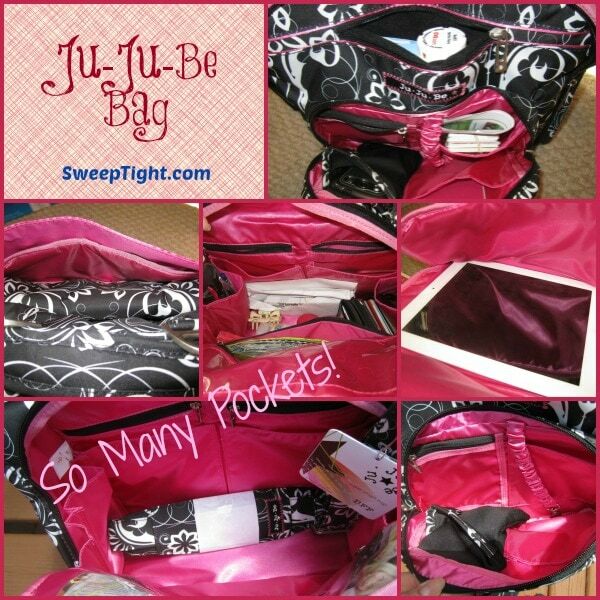 Get your Ju Ju Be BFF bag HERE. Shop for this tote bag, or any other of their awesome styles on the Ju-Ju-Be website. Stay social with them on Facebook, Twitter, and Instagram. >>> What do you look for in a travel tote? You had me at machine washable. I always find sticky stuff like candy, granola bars, etc, at the bottom of my bag. It’s pretty, washable, AND has tons of pockets? I’m in! That’s a super-cute bag. I love that it has the option to become a backpack, because I don’t know the meaning of “traveling light”! Me neither! I like to haul it all! You had me at machine washable. There is definitely something to be said for a bag you can toss in the washing machine when need arises.